Cool Careers: What's it like to be a Program Coordinator? Cool Careers: What's it like to be a Program Coordinator? Cool Careers: What’s it like to be a Program Coordinator? Welcome to Cool Careers! A new Facebook Live interview series from Britannica Digital Learning. What did you want to be when you grew up? Simple question, right? At Britannica Digital Learning, we reach over 140 million students in 83 countries around the world—over 30 million in the US alone! So we believe a big part of our job here is to inspire students and ignite their career curiosity, letting them pursue a future that brings them satisfaction, stability, and joy. With that in mind, we’re excited to invite you to tune in once a month to “Cool Careers,” a brand new Facebook Live interview series from Britannica! Join us as we meet some awesome people who do incredible things every day and ask them burning questions like: What subjects in school inspired you? Which activities or passions influenced your career path? What is your current job is like and what do you love most about it? What advice you would give to a student who is curious about pursuing a similar path? 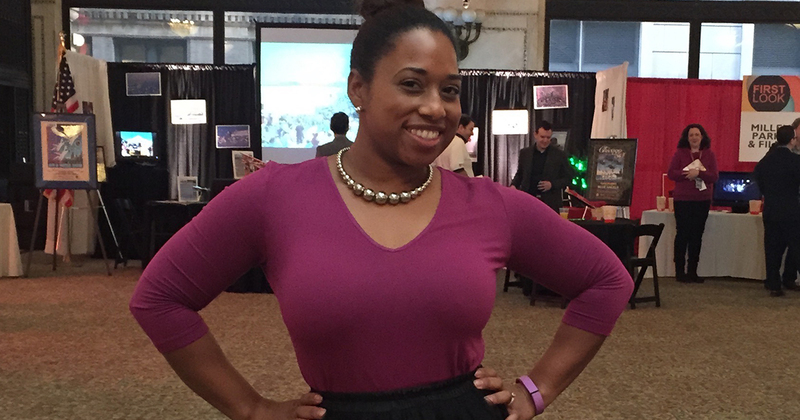 This April, meet Ivy Hall, a Program Coordinator of Festivals and Music for the City of Chicago’s Department of Cultural Affairs and Special Events. TUNE IN on Tuesday, April 23 after 11 AM CST to watch live. RSVP on Facebook to get a tune-in reminder! Ivy Hall brings a unique integrated set of government affairs and event management skills to the Department of Cultural Affairs and Special Events, and has over a decade of experience in project management, event marketing, corporate sponsorship, trade shows, celebrities and budget management. Over the past 15 years she has worked on several world-class festivals and special events, including the Chicago Kids and Kites Festival, Chicago Gospel Music Festival, Chicago Jazz Festival, Taste of Chicago, Dr. King Interfaith Breakfast, amongst others. Ivy has a Bachelor of Science in Recreation, Sport and Tourism with a concentration in Tourism Management from the University of Illinois and a Master of Science in Integrated Marketing Communications from Northwestern University. A devoted mom and wife, Ivy is also an active member in her sorority and serves on various committees for numerous organizations within the city of Chicago. • Cool Careers: What’s it like to be a U.S. immigration lawyer? • Cool Careers: What’s it like to be a professional chef? • Cool Careers: What does a media producer do? • Cool Careers: What does a community organizer do? We love feedback! Tweet us @BritannicaLearn.